Hipsters and Hopheads and Beer Snobs, Oh My! It seems that hipsters, hopheads and snobs are out to derail the craft beer renaissance that’s happening as small and independent craft brewers continue to shift the world’s view of American craft beer. At least, that’s what the dramatic would have you believe. The truth is that these characters are more like beer boogiemen — the threat that they’ll ruin craft beer for the rest of us is mostly in our imagination. They aren’t ruining anything. Still, I see the fear evoked in people’s eyes at the mere mention of these supposed monsters in the beer cellar. So I’m here to take a look under your bed and shine a light on what’s really ruining craft beer. Wish me luck! You can drink my Isabelle Proximus if I don’t make it back alive. If there is one type of person everyone can agree deserves the most blame for “ruining” the craft beer landscape, it’s hipsters. They’re seemingly everywhere, while being nowhere in particular. They are as weird and scary as mimes or clowns or even climes (clowns that don’t talk), but they dress like the characters of Downton Abbey. They assert their independence by flocking in droves to the same place their friends “discovered” last week, which they are happy to tell you was “before it was cool” — even though you’ve been going there for years. Problem is, practically no one ever self-identifies as a hipster. We can’t even seem to agree as to what exactly a beer hipster is! One beer fan’s hipster is another’s college student, and a third’s Amish elder. Half of the time hipsters are those who don’t drink craft beer at all (only PBR, from a can of course), and the other half of the time they drink it exclusively. The hipster seems to just represent anything that people deem odd, or is a label to slap on someone trying a bit too hard to be unique. But don’t we all do that in our own ways? According to craft beer’s staunchest self-appointed defenders, “hopheads” are forcing brewers to add more and more hops to craft beer—even though hardly anyone outside their evil minority likes this distasteful plant. Actually, nothing could be further from the truth. Craft brewers tend to have two priorities: to make beer that they like, and to make beer that others like. No doubt some of them identify as hopheads, and they’re hardly alone: Americans are buying bitter, hoppy styles like IPAs more than any other style of craft beer. The enjoyment of bitterness is not something that is limited to beer: dark chocolate, Brussels sprouts and kale are all bitter, too — and incredibly popular. Bitterness even plays a large role in other beverages, like coffee and cocktails. The point is, just because you might not be on board with the bitter trend doesn’t mean that others don’t sincerely love it. Hops provide much more to a beer than bitterness, and a beer’s balance is largely subjective. Beer snobs have as many definitions as hipsters, but are generally considered pretentious and utterly dismissive of any beer that they deem to be unworthy of their palate. Unlike beer hipsters, who don’t identify with the label, some people actually do call themselves “beer snobs.” While most people agree that being a snob is bad, some individuals seem proud of having particular tastes. They hold their heads high, and hold their beers to a standard that’s even higher. The big problem people have with beer snobs is that they are not fun to be around. It’s hard to enjoy the beer that appeals to your palate when the person next to you is sneering through the foam of whatever exalted style their own perfect palate has deemed worthy. In general, having personal standards is something I support. Like any consumer product, we’re free to choose craft beers according to the criteria that make sense to each of us. Our choices may be based on price, flavor or perhaps social responsibility — supporting individuals, businesses and industries that one thinks are worthy of support. That in itself, I believe, is not snobby. Snobbery comes in when someone feels like their tastes and interests are somehow more “correct” than someone else’s. I believe that kind of attitude is just a sign of beer adolescence. So why is craft beer seemingly inundated with these self-centered people? And how do we fix it? Well, first of all, I don’t believe this is really endemic to craft beer. The vast majority of craft beer lovers, like all people, are decent and open-minded folks. But for whatever reason, a minority have adopted some anti-social behaviors like forcing their views on others. You’ll find the same hipsters, zealots and snobs in just about any self-defined community you can think of. Are we doomed to deal with these people forever? Short answer: Yes. There will always be jerks who only seem to care about themselves, but that doesn’t have to ruin your enjoyment of craft beer. And it doesn’t mean that if you’re a jerk, you have to stay a jerk. Hipsters and Hopheads and Snobs, Hooray! In my opinion, hipsters and hopheads and snobs aren’t really ruining craft beer at all. 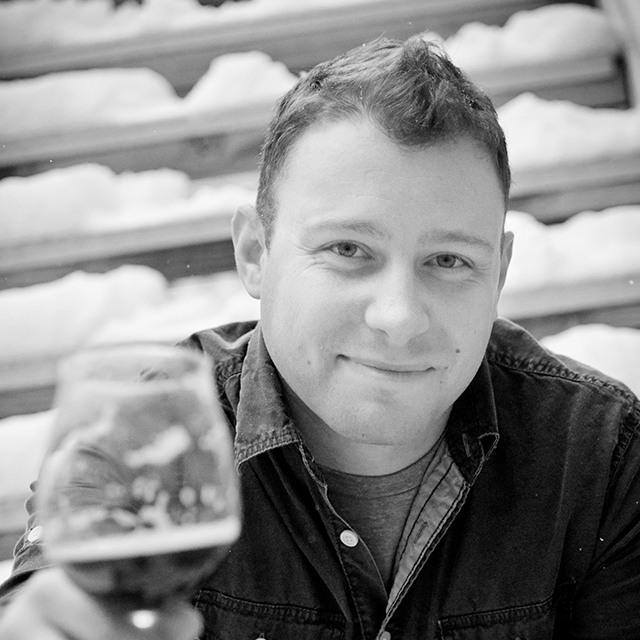 Rather, the craft beer community is made up of people — and some people are sometimes jerks. In order to move forward and continue to support the ever-growing craft beer segment, we need to take a look at the traits these types of people bring that actually add to our rich and malty tapestry. Hipsters: If it wasn’t for the hipsters’ boredom with all things mainstream, would we have access to the ever-changing lineup of new beers? Hopheads: Not everyone likes hoppy beers (and that’s okay), but for those of us who do, we probably have a hophead friend to thank for introducing us to the wild, bitter world of IPAs and imperial IPAs. Beer snobs: Bless you! Thank you for refusing dirty glassware and pedestrian beer menus. Your high standards have drastically cut down on my poor experiences at restaurants and bars. In the face of frozen glassware or dirty beer lines, I might simply not return to an establishment — but you make sure the staff knows how they eff’ed up and make it uncomfortable enough for the restaurant to fix the problem. 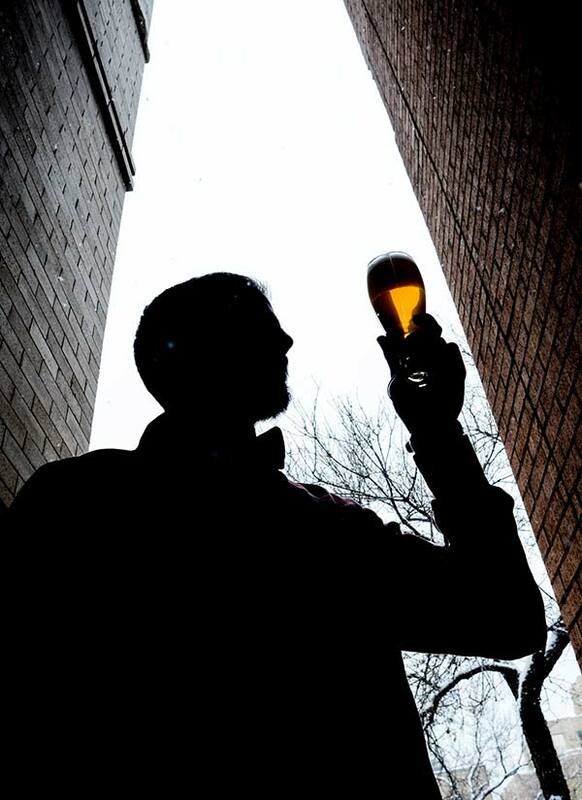 Each of you has propelled this community to become the most advanced beer culture in the world! Heck, even our craft beer pioneers — the Dogfishes and Sierras and Charlie Papazians of the world — weren’t they a bit hipster? (Sorry, Charlie!) Didn’t they have a bit of a snob factor when they demanded more from the beer options available? We all benefited from their counter-culturalism and, yes, even their pretension. So what’s the difference between them and today’s hipsters, hopheads and snobs? I will admit something to you that I have never admitted on paper before: I once considered myself to be a beer snob. GASP! It’s true! I even once uttered to a colleague, “Better a beer snob than a beer slob.” I was young and naïve. I thought I knew it all, and thought the best way to evang-”ALE”-ize was by force. It turns out that forcing a perspective on someone never seems to work. And as I learned more and more about beer, my early views changed. Things that I believed were black and white were actually 50 shades of gray, at the least. Having more experience and knowledge helped me realize that much of craft beer is truly based on personal perspective, and that perspective might not always be easily adjusted. So when I hear someone asking for the highest-IBU beer available on the menu, writing off a craft brewer for their success, or opining that “all lagers are swill,” I remind myself that that person has an immature understanding of the beverage, just as I did, and hopefully they’ll learn. A little perspective, understanding and maturity will go a long way in this ever-evolving world of craft beer. Think of these beer boogiemen as a sign of craft beer’s cultural adolescence. We’d be wise not to write them off as hopeless, for their little craft beer minds just have yet to fully form. Maybe they’ll grow out of their self-centeredness, just like we all do. Some won’t. But as craft beer grows up, we should too, and ditch the childish name-calling.